I was recently "gifted" a rooster chicken from my friends at Paradise Acres Farm. Because they tend to be tough, the best way to make them nice and tender is to slow cook them for many hours. I wanted to use this chicken for tacos or enchiladas, so I slow cooked it in some fresh salsa ... oooo laaaa laaaaaa delicious! Place all ingredients in a slow cooker. Cover and cook "low and slow" on low heat for 10-12 hours or until bones are falling apart. 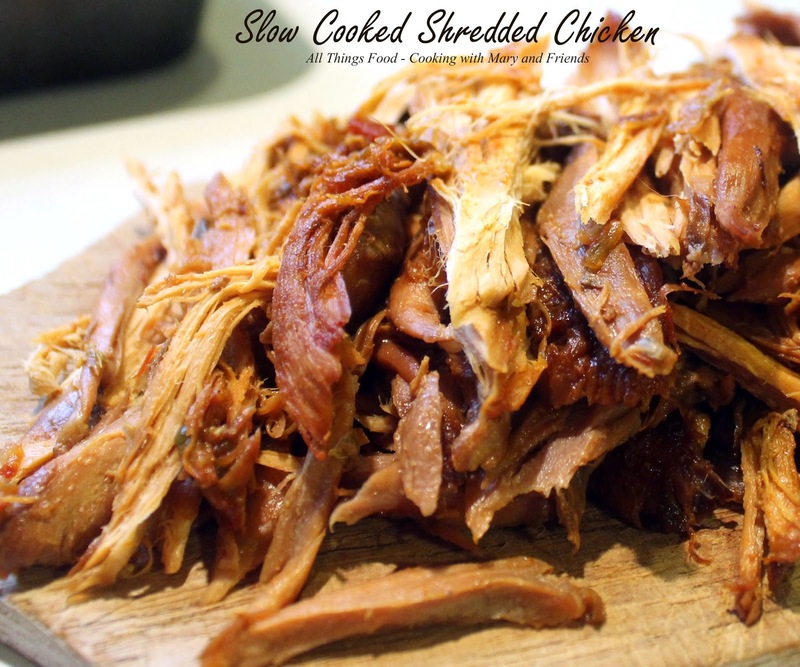 Remove chicken and bones from slow cooker and place in a large baking dish; allow to cool. Once cooled, pick through chicken, removing all bones, fat and skin. 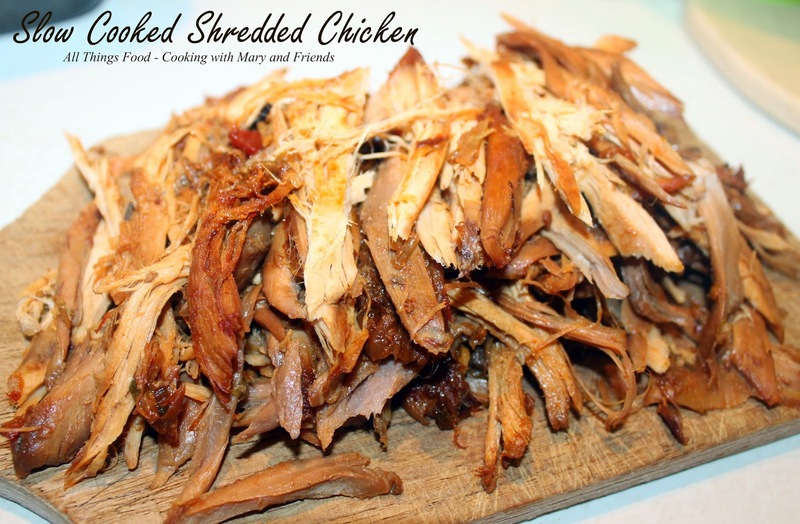 Tear chicken into shreds and use it for chicken tacos or chicken enchiladas. One small chicken yields approx. 1 quart bag of shredded chicken. If you're not planning to use it right away, store chicken in a zip top bag in your freezer.